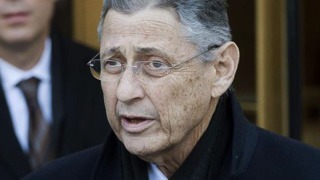 Prosecutors have boosted claims against former New York state Assembly Speaker Sheldon Silver in a rewrite of the indictment against him. The government filed a new charge Thursday related to monetary transactions involving crime proceeds. The indictment says Silver transferred criminally derived money in amounts greater than $10,000 into investments that are not available to the general public. Prosecutors say Silver exploited his power to reap $4 million in kickbacks in a case that rocked New York's power structure. Silver pleaded not guilty after his January arrest and subsequent indictment. He says he'll be vindicated. Silver attorneys Joel Cohen and Steven Molo say the new charge is an attempt by the government to address flaws in the indictment that the defense pointed out. The lawyers say they'll respond in court.